If you, like millions of other people love your dog, then you won't be surprised to know that the growth of 'pet sitting' has been building steadily in the UK. 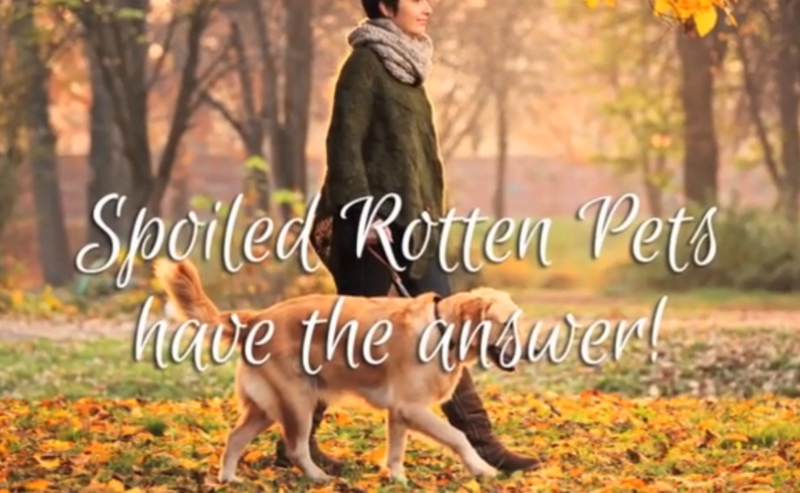 A pioneer of this form of 'holiday's for dogs' concept is Spoiled Rotten Pets. 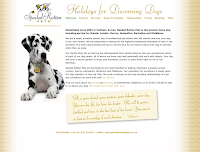 Set up over a decade ago before the idea of pet sitting was barely in its infancy, Carolyn Griffiths developed the idea of exclusive holidays for dogs. 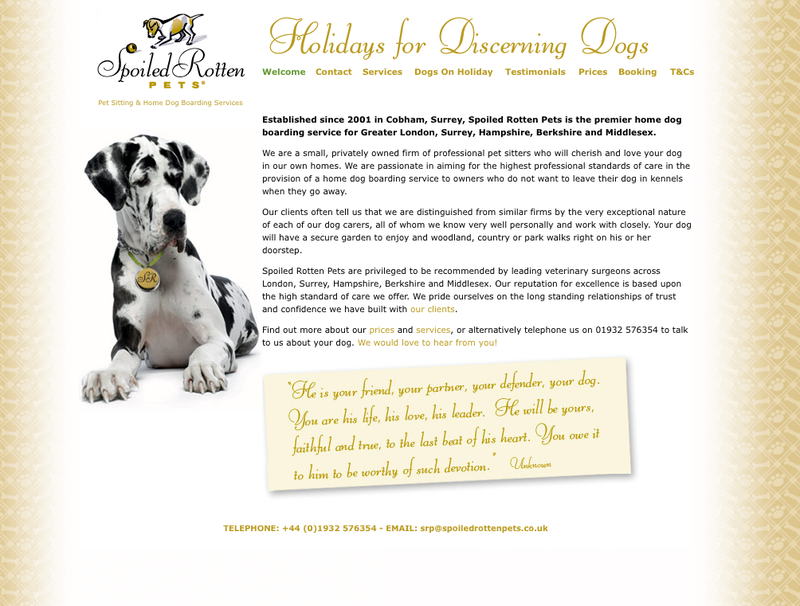 She and her team have built an enviable service aimed at high net worth pet owners in the South of London. 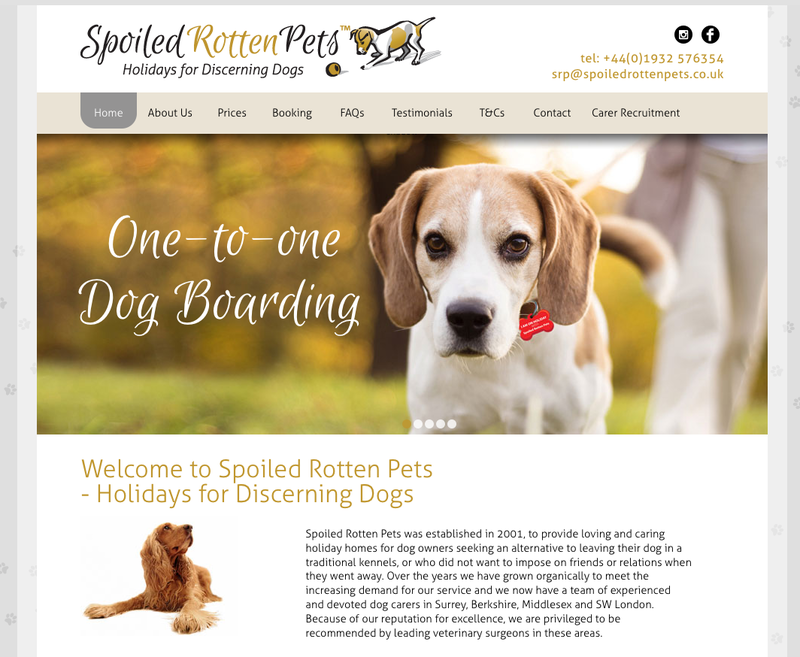 At Parkhouse, we are proud to have been involved with Spoiled Rotten since its inception. We created the original brand and also its first website. Plus all the support collateral, such as stationery, cards, flyers and brochures. The images show the old and new sites by comparison. It's time to prepare for the next phase of growth for Spoiled Rotten Pets as they continue to offer quite simply the best holidays for dogs to be found anywhere. Simply put, why would you put your dog in a kennel when your dog can enjoy a holiday too...? To find out how we can make a big difference to your business please call us on 01332 291141 and we can discuss your next project. Be that big or small we aim to offer you a bespoke service second to none.